Ford has set out on a mission to take its vehicles to a whole other level of intelligence. 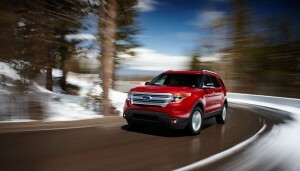 They just recently built their 10 millionth car with built-in Ford SYNC technology! We would say they are well on their way to completing their quest! Now what is Ford SYNC technology you ask? Well, it’s an in-vehicle system that leaves you completely hands-free. It integrates mobile devices, such as a Smartphone, and allows the driver to make hands-free calls, change the song or radio station, and use other applications with just a simple voice command, leaving you to concentrate on driving safely. And that’s only the beginning. Whew! That’s a lot of choices! Not sure which ones are right for you or are available for your favorite Ford vehicle? Not to worry, you can contact us here at Sanderson Ford to find out what SYNC packages are right for you!